A non-fiction book by Paul Taylor. 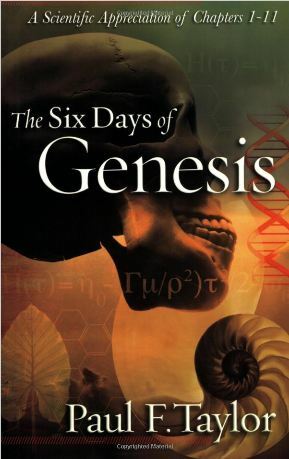 This book takes up-to-date creationist ideas and research and arranges it in Bible order, as a commentary on the early chapters of Genesis. Dig in to the book of Genesis, verse-by-verse. This expository study of early Genesis, by British author Paul Taylor, is a reader-friendly journey from the creation of the primeval world to the Table of Nations. Written for the serious student, and perfect for pastors and lay leaders, this verse-by-verse study promotes the view that Genesis is literal history and can be defended from modern attacks from evolutionists. In recent years, conservative Christian thinkers have become alarmed at the erosion of biblical teaching, even in many seminaries across America and Britain. Taylor&apos;s book is a fresh, much-needed resource for teaching prospective clergy and professors, who will in turn teach the masses. I loved this book. It was understandable language unlike some of the ones written in scientific jargin. It was one of the very best books I have read on this subject, which I find to be the truth of the matter for me. Very well written and hugs the Scriptures like a hand in a glove. 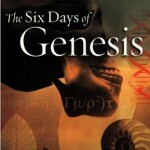 There are many excellent books refuting evolution and this is one of them. Faith, of course, is a gift of God, and without it you cannot believe, but if you are having doubts about creation, read this book. FREE! Listen to this interview with Vic Elieson of the CrossTalk program on VCY America, about the book.